The machine is not mine, I borrowed one from Lino Lampers the main IBM collector (post 1980) in the country. IBM PC RT 6151 The case is very similar to the original PC AT case. The main difference is the two-digit hex post display. IBM PC RT CPU The aluminium coveraging of chips is typically for IBM designs. These chips make up the RT processor. 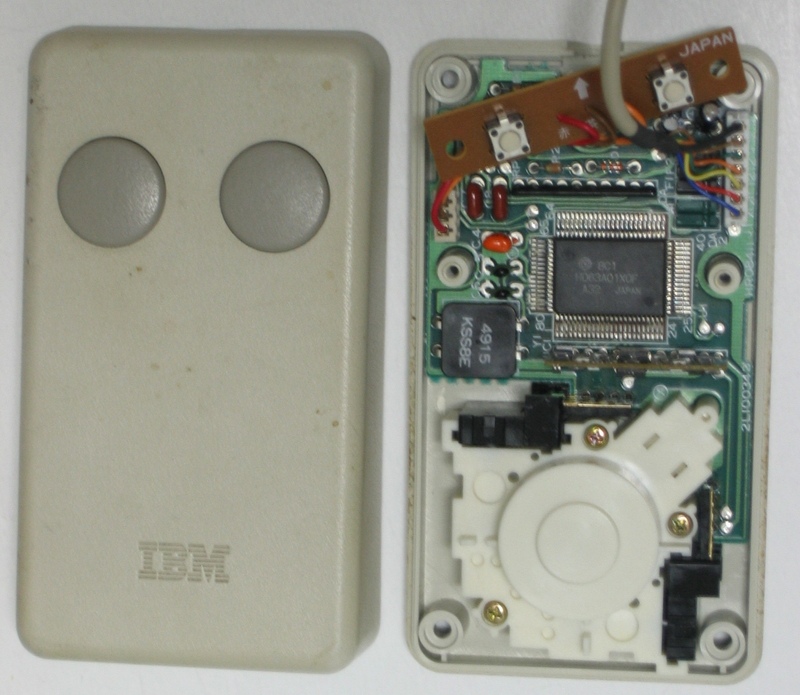 The board contains some MMI PAL-logic, a Motorola support chip and a boot EPROM. Below are the other special cards for the PC-RT. The I/O; disk, display, network and serial ports are provided by 'normal' 8- or 16-bit ISA cards. 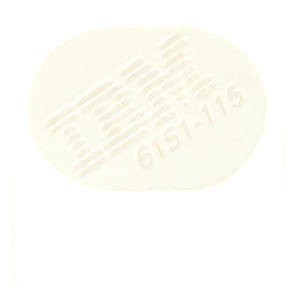 IBM PC RT CO-processor This board set is an option. It contains two Analog Devices chips; an ADSP-3210 (floating point multiplier and ALU) and an ADSP-3221 (). 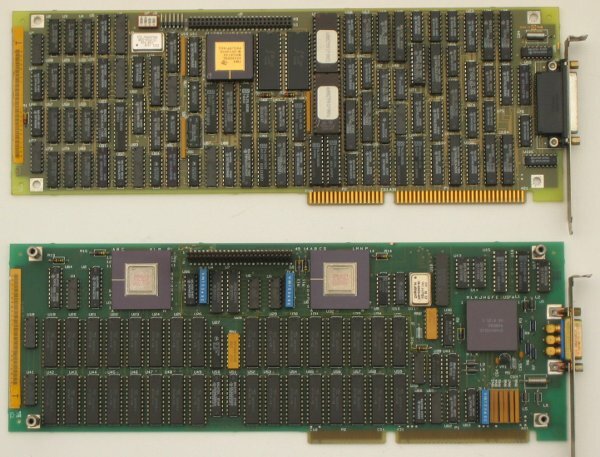 The extension board contains several fast (cache like) RAM chips. 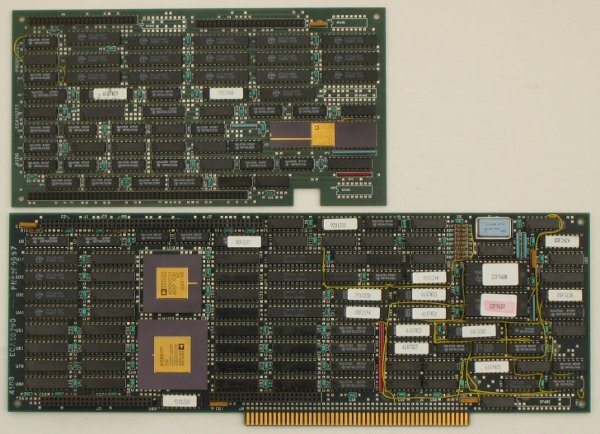 IBM PC RT RAM board Here also the typically IBM chip housing. 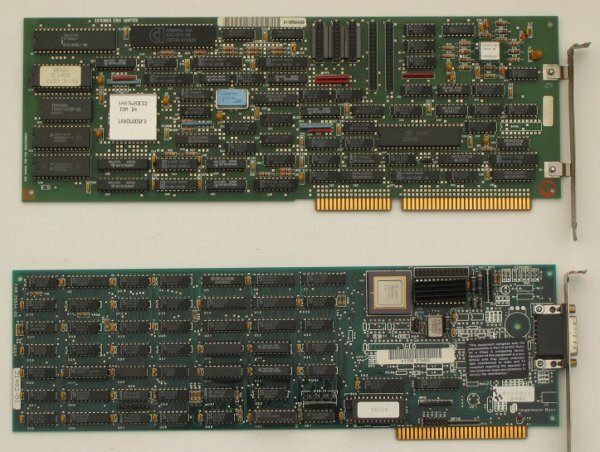 The early IBM PS/2s also used this type or RAM. This board could be either 4 or 8 MByte. FDC/ESDI board & network board At the top the FDC and ESDI harddisk controller, at the bottom an Ungermann-Bass network adapter. Megapel Display Adapter These boards form one adapter. Best put into slot 2 and 3 (from the left, slot 1 being only 8 bits). The proper display is the IBM 5081 Display monitor. Output is RGB, sync on green, H:63.36 kHz, V:60Hz. DIP switch 3 controls the CGA emulation. 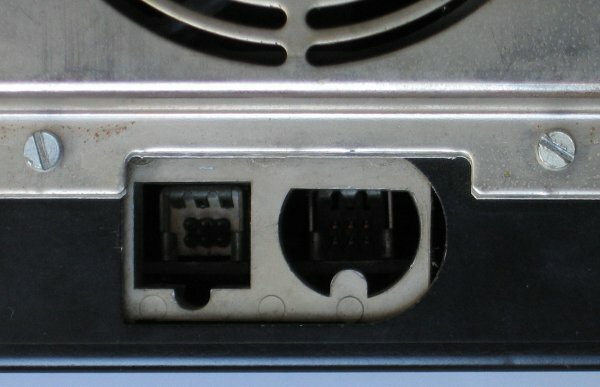 Keyboard/Mouse ports Very weird connectors. The actual pins are standard 0.1" pins for both keyboard and mouse, but the shape of the holes made connecting foolproof. 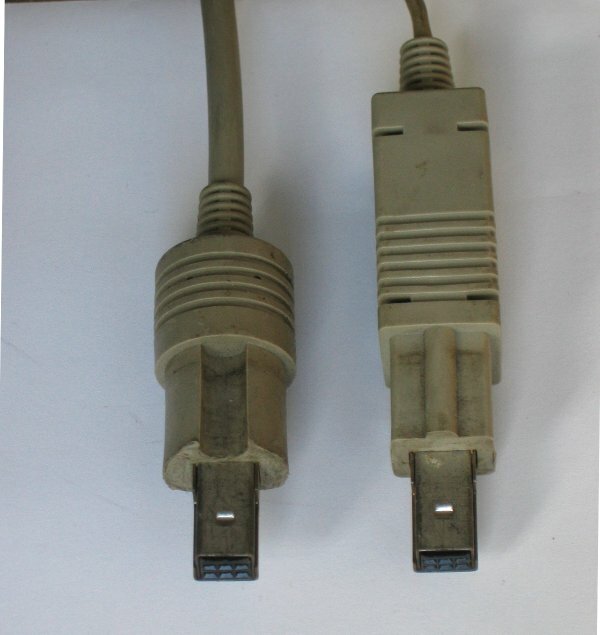 An improvement to the DIN-connectors used for the original PC/PC XT and PC/AT, but not yet the standard of PS/2. The mouse is the left port, the keyboard right. Keyboard/Mouse connectors A bit dirty, but the construction is clear. The keyboard is left, the mouse right. Mouse internals The mouse interior. A complete HD6303A01XOF processor (derived from the 6801) and a propriatairy protocol. 1 (green)  5 = signal ground. 2 (blue)   1 = Transmit to device. 6 (red)    2 = Receive from device.